​The annual Children's Book Week this year is being held at the beginning of the year-end school holidays from Saturday, November 25th, to Sunday, December 3rd 2017. 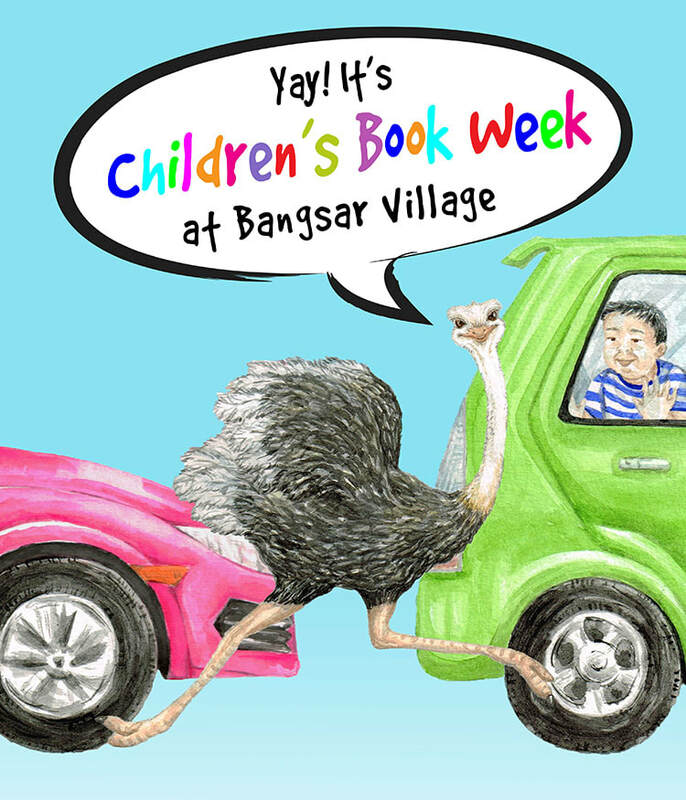 This is the second year that Silverfish Books and Oyez!Books will be joining with Bangsar Village in hosting the event. We will be holding Children's Book Week at Bangsar Village II concourse, so watch out for the distinctive red and white tent. Children (and adults) can look forward to wonderful storytelling in a specially built storytelling tent; book-related activities and crafts; and an array of Malaysian-focused books to choose from. Do check out the details of the programme! ​We are also happy to announce that this year we will be repeating the very popular Children’s Storytelling Contest. As the event was so popular last year we have extended the age group to 12 years. The event will be split into two sessions, the first for 5 to 8 year olds on Saturday, 2nd December at 2.30pm and the second for 9 to 12 year olds on Sunday, 3rd December also at 2.30 pm. We hope that more young people will come along and join in the fun and ‘wow’ their parents and friends alike with their stories. Last year, many of the competitors dressed in fancy clothes when telling their stories which made the event much more enjoyable. So once again kids, come and knock ’em out! Remember there will be great prizes to be won. 4. Children’s storytelling contest (ages 5 to 8) and (ages 9 to 12). Mark your calendars and join us for an exciting and fun-filled Children's Book Week 2017!